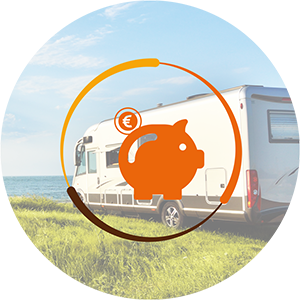 Securely rent out your campervan with Wikicampers and earn up to €3,000/year ! Calculate how much you could earn by renting your motorhome ! Meet your clients for vehicle inspection and key collection. Receive money for renting your motorhome. 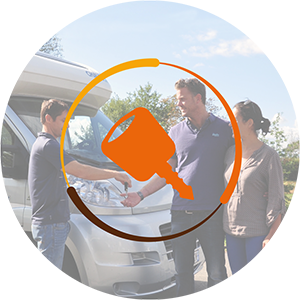 Reliable and professional, I recommend Wikicampers to all those who wish to rent their motorhome. 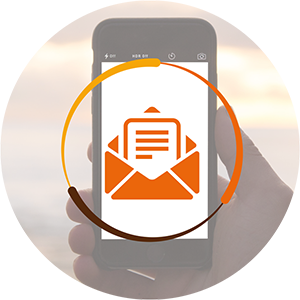 Great availability, responsiveness and client service. It’s my first experience on the website for renting my motorhome, the vehicle is in top condition to go on the road... Thanks to all the team ! Excellent service. Efficient. Attentive and responsive. I totally recommend them ! Can I put my motorhome for rent on Wikicampers ? It must be “VASP” certified (J1 box on the vehicle’s “carte grise”). It must be a “recreational vehicle,” allowing for one or more passengers to travel, sleep and cook inside the vehicle. Its gross vehicle weight rating (GVWR) must be equal or lower than 3,5 tons (7,700 lb) (F2 box on the vehicle’s “carte grise”). Its price when new must be €100,000 maximum. It must be registered in France and have a permanent and valid “carte grise” (log book). As Wikicampers is reserved for private users, only non-professional rental is allowed. What information do I need to provide in my advert ? 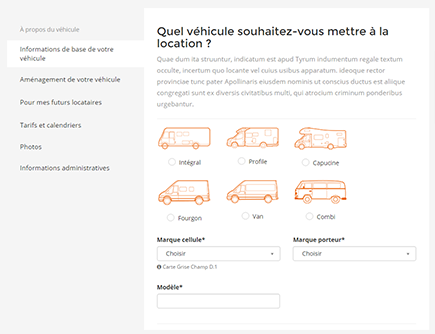 To publish your advert, you will need your “carte grise” (log book) to fill in a simple form describing your motorhome: type of vehicle, make, registration number, date of first registration. Add at least one photo for your advert to be published online. You can modify the information provided in your advert at any time by logging into your Member’s Account. How much does it cost ? How does Wikicampers make a living ? Publishing your advert is completely free. People interested in renting your motorhome can contact you directly. If an agreement is found, they must pay for the rental on Wikicampers. The payment includes the insurance as well as the rental fee, on which Wikicampers charges a commission of 15%. This commission is used to cover the management of the rental and to maintain and promote our website. You must therefore send us your bank details, so we can pay you the rental fee. Payment of your rental fee is made 3 days after the start of the rental.